Litter born 3-20-2019. 4 female and 4 male. Family owned kennel with great blood lines. Overview: The Alaskan Malamute was named after the native Inuit tribe of western Alaska. They are one of the oldest Arctic sled dog breeds and have grown in popularity as a family pet. Coat: The outer coat is think and coarse and undercoat is greasy and wooly. Character: Alaskan Malamutes are friendly, affectionate, and loyal, though they're quite independent. Temperament: This breed usually gets along well with children. Their friendliness toward visitors means they are not particularly good as watchdogs. Care: The Alaskan Malamute requires very little grooming, though a coarse comb should be used during shedding. Training: This breed requires very firm training from an early age. Activity: The Alaskan Malamute needs a great deal of exercise, including as least one hour of hard workout daily. Health Issue: This breed is usually very hardy. Some are prone to hip dysplasia or bloat. 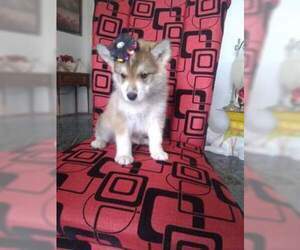 Beautiful 8 week Alaskan Malamute girl ready to ship anywhere Nationwide. She is very playful and has been kept inside with kids. 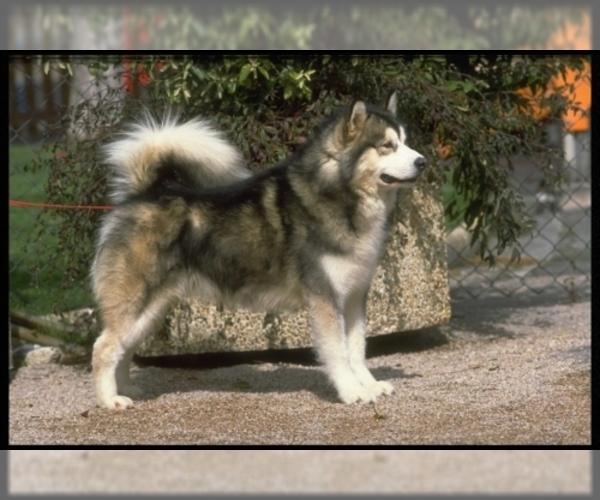 Posted Breed: Alaskan Malamute (long coat). Posted Breed: Alaskan Malamute (medium coat). Posted Breed: Alaskan Malamute (short coat).